LIGHT IT UP WITH STYLE! 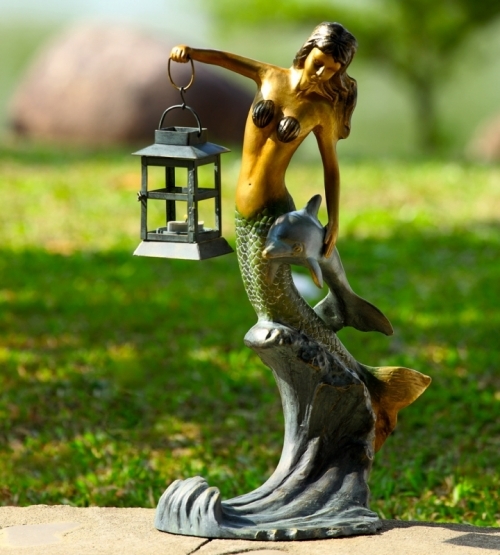 This enchanting Mermaid and Dolphin Lantern will bring a unique and artistic addition to your garden or outdoor space. Notice the beautiful antique finish! Handcrafted with the finest details and materials. This piece of exquisite and functional garden art will sure to be enjoyed for a lifetime. A great gift for family, friends, loved ones or even yourself.